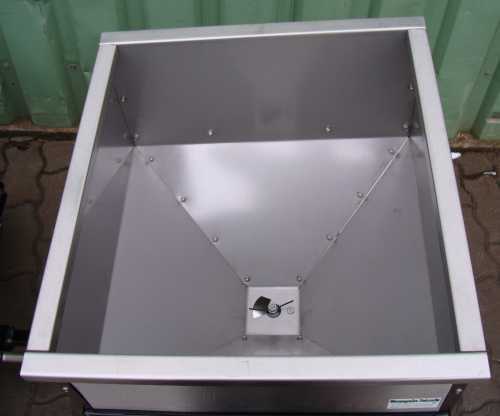 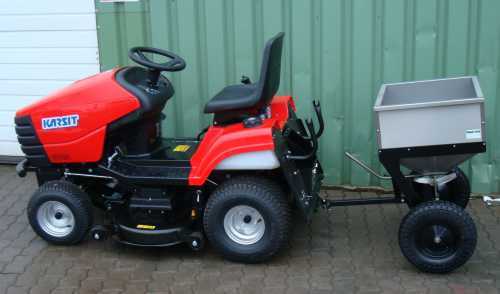 610,00 EUR 19 % VAT incl. 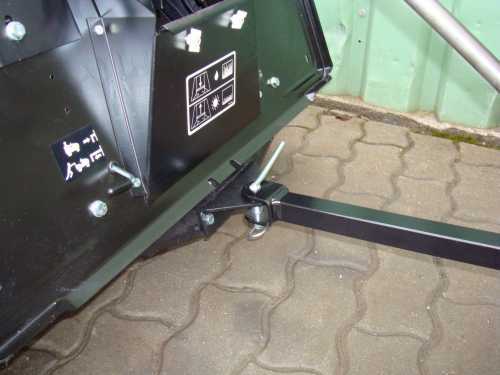 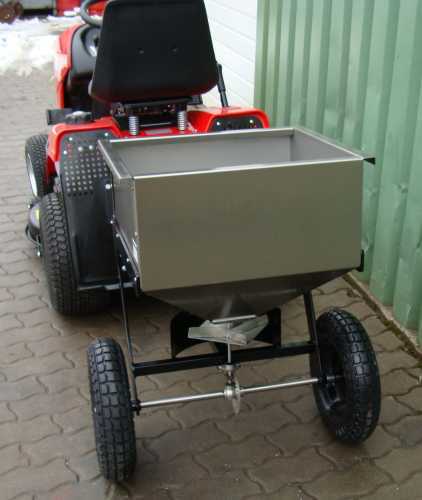 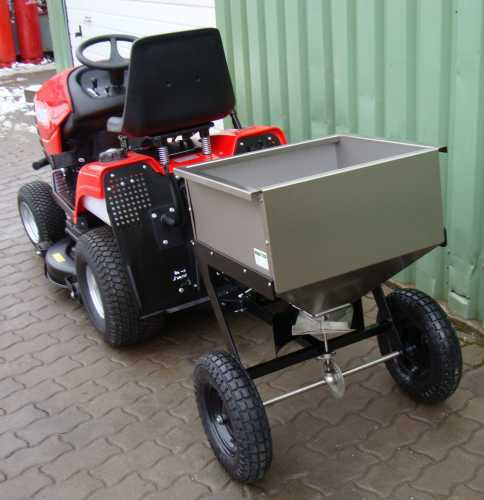 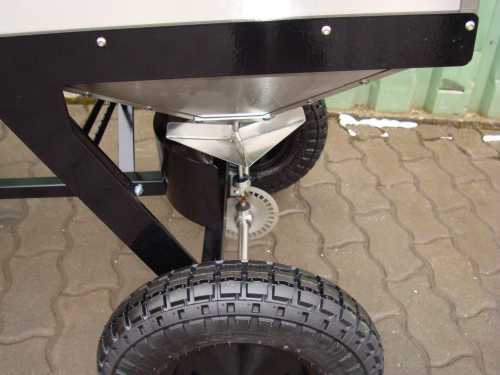 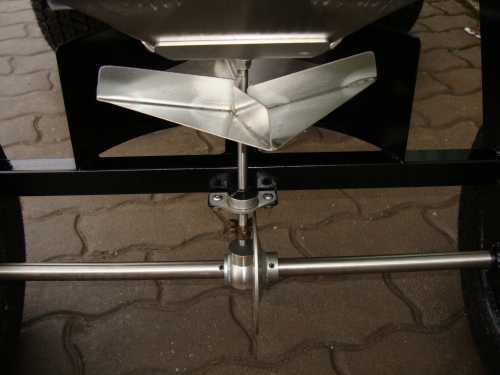 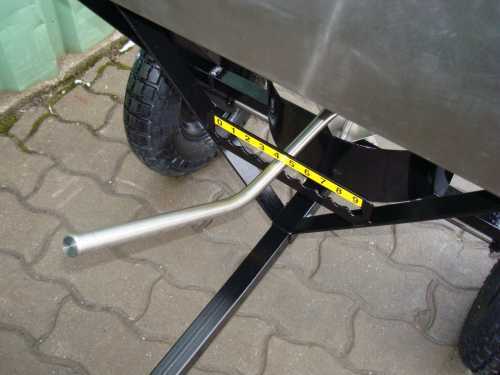 This spreader adapts to all standard ATVs / quads and lawn tractors due to its U-Pull hitch with bolt. 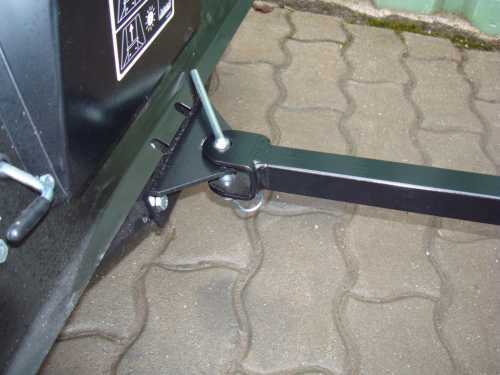 The spread rate width can be adjusted by hand lever, which actuates a slider. 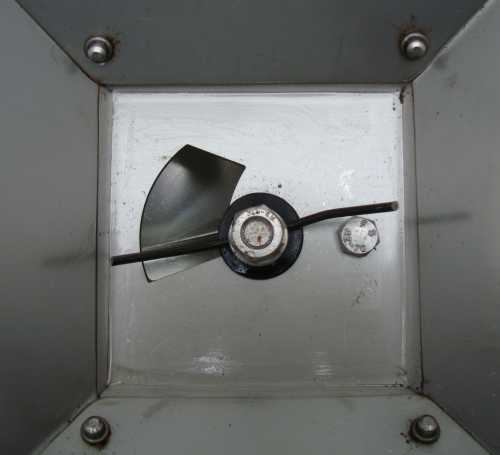 Thus, the spread rate is regulated. 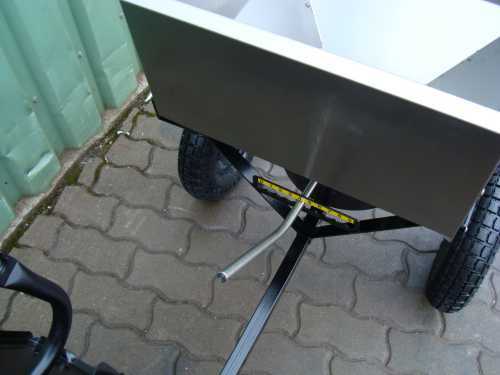 The agitator finger can be replaced easily. 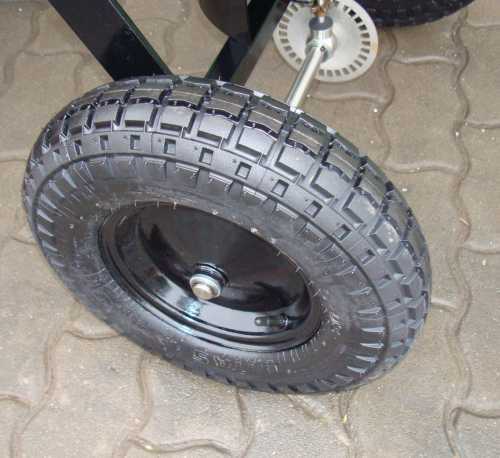 There are wide pneumatic wheels with studded tires 4.00x8 mounted - of course with ball bearings. 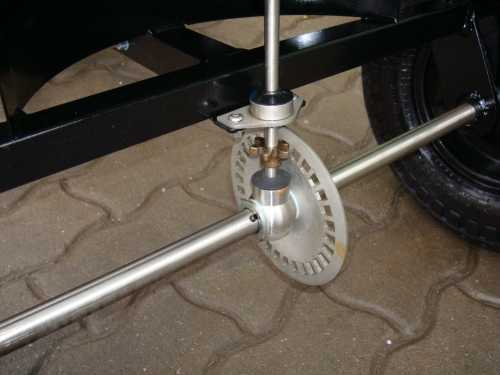 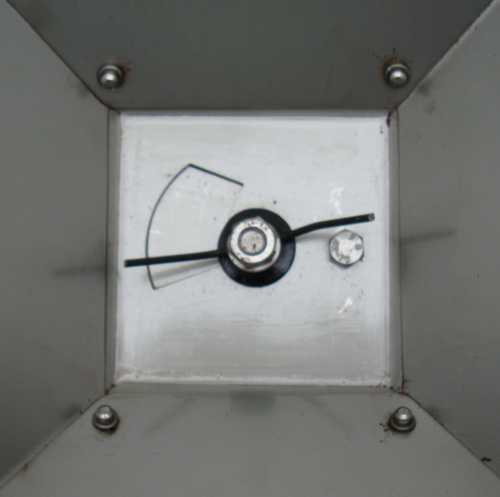 One wheel is idling with the axis, the other is connected to the axle by means of cotter pin and drives it.